The wordpress is the most popular in blogging because it has a lot of apps and plugins that are readily available while the blogger is absolutely free for all to use.wordpress readily create an automatic rss feed for you on each time you post a topic. the solution for you.You can setup a Blogger account and add your first post, literally within minutes. After your blog has been generated and published,then you can now submit your site to google.yahoo,bing etc for optimization.post as many articles for your reader and have your fun doing it. This is the nicest thing have had to stumble upon this new year and am glad I did, but I want to know more just came up with my blogspot (grandscore.blogspot.com)according to the dictate given here but am still yet to understand the publishing and optimizing of your blogspot and also how to get feeds, widgets and make money with the blogspot, I wish you can give me a little more detail. Thanks a million. Good one Bro. more of this, it will really assist newbies. How can one make money from WORDPRESS with out buying a customed blog. Cause non-customed blogs are not allowed to use adsense. Everyone is talking about blogging, everyone is an expert, so how does a total newbie learn. 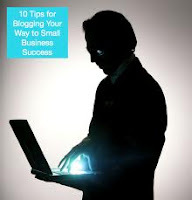 This article hand holds you through the very first step of blogging, that of creating a blog. yes i appreciate this but i prefer wordpress than blogger.